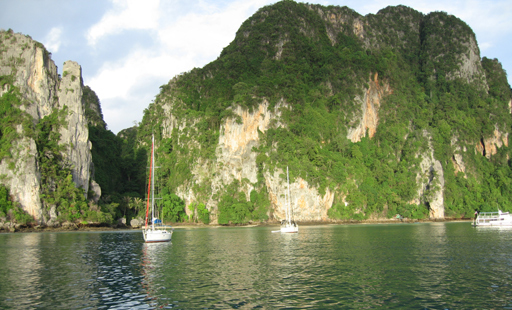 Our first boat trip to Malaysia was done in five and a half days with four stops. It was October and at or near the end of the southwest monsoon when we were finally ready to take the tide out of Boat Lagoon. 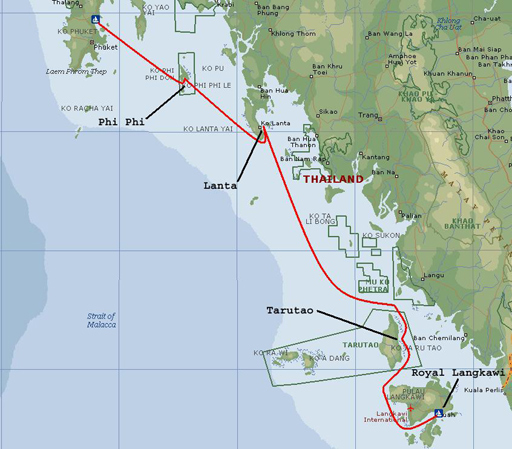 Not knowing how mean the southwest monsoon would be, anchorages were chosen to provide a lee from that direction. The winds however, were gentle and the trip was almost uneventful. 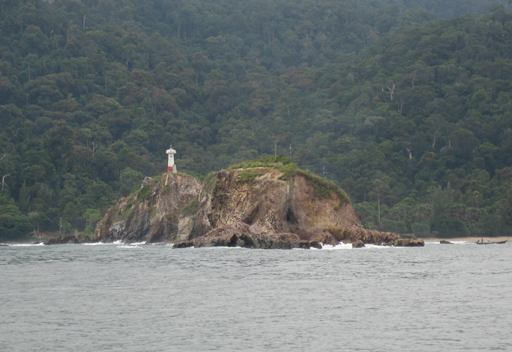 At Lanta Island the anchor windlass quit windlassing. We spent all day at anchor trying to repair the windlass, but it was the motor and beyond Walt's capability. That meant 180 feet of chain at just under 2lb a foot and a 66lb anchor had to be raised by hand. Who needs a gym when you have workout equipment like that? The next stop,Tarutao Island, was a late arrival followed by Walt again exercising on the bow. 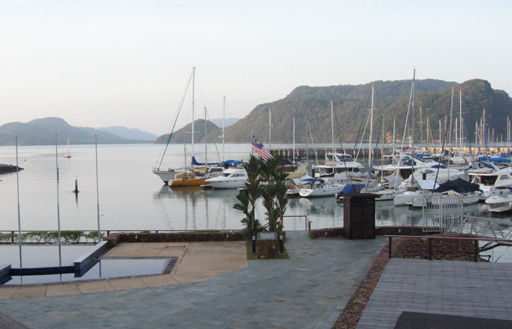 We tucked into the Royal Langkawi Yacht Club on 8 October. 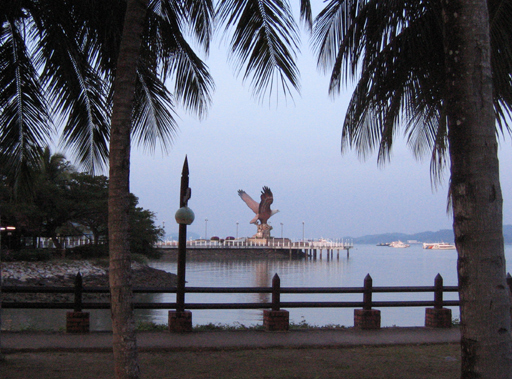 The club is located near the main Langkawi town of Kuah and would be our home for the remainder of the year. 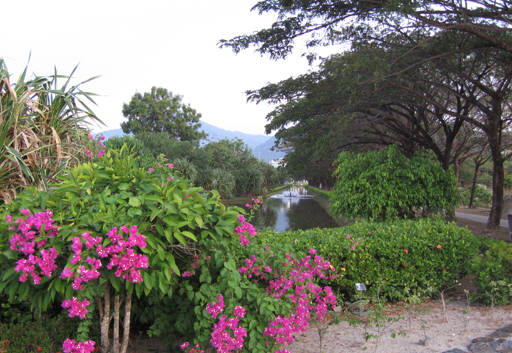 This park in Kuah is a pleasant morning walk from the yacht club. 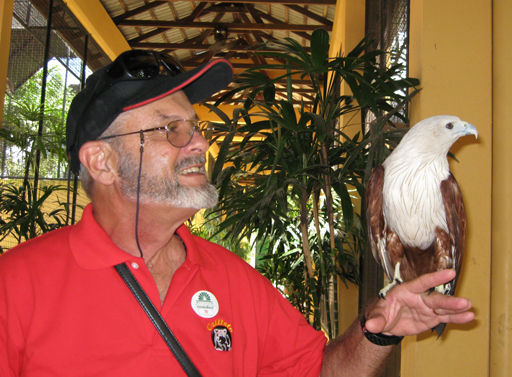 The brahminy kite is the official bird and symbol of Langkawi. This statue stands in front of the main harbor. You can get up close and personal with one of these beautiful birds at the bird park. 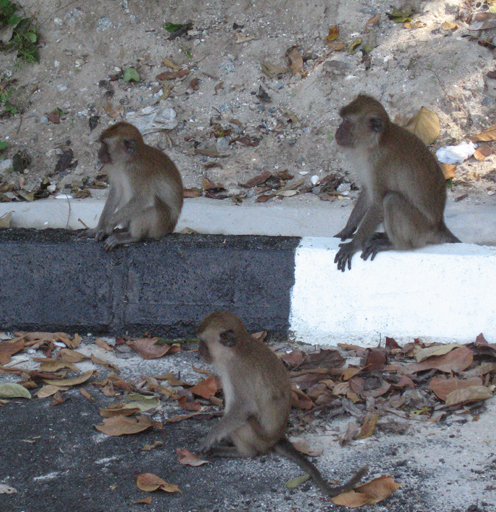 We had seen feral monkeys in Galle, Sri Lanka, but they were not as inured to human presence as these fellows. We have had to walk around them on the sidewalks. 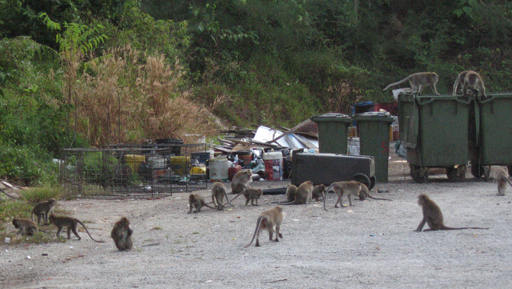 The people in charge of dealing with the trash probably don't find these guys as cute as we do. 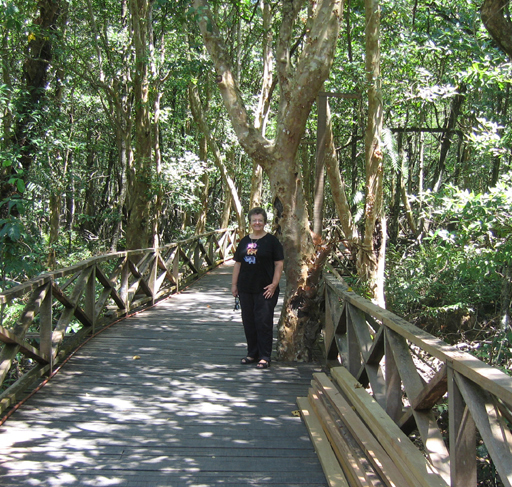 A boardwalk through the mangroves leads to one of our favorite restaurants on the island, the Barn Thai. 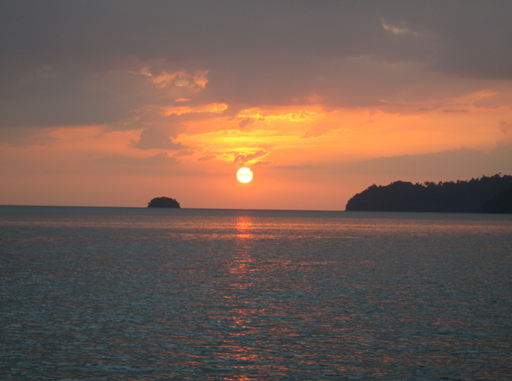 A pretty sunset seen while at anchor in the south of the Langkawi group of islands. Next month we fly away to Thanksgiving celebrations with the family in New Jersey.